Two Russian athletes named in doping allegations by the nation's former anti-doping chief have rejected the claims as "nonsense and slanderous". 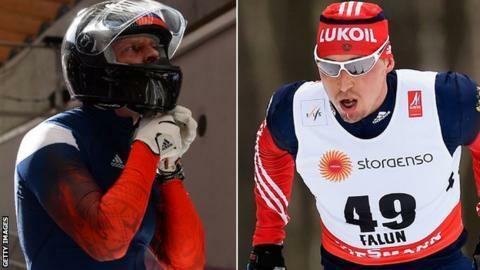 In a New York Times report, Dr Grigory Rodchenkov alleges dozens of athletes, including at least 15 medallists at the 2014 Winter Olympics, were part of an extensive state-run doping programme. Skier Alexander Legkov and bobsledder Alexander Zubkov insist they are clean. The International Olympic Committee said the claims must be investigated. But Legkov, who won gold and silver medals in Sochi, said legal action "needed" to be taken over the allegations. "It is complete rubbish and we need to stop it," he said. "I performed honestly. My Olympic victory was not accidental." Zubkov, who won two gold medals in Sochi, added: "It is all nonsense and slander directed at Russian sportsmen who took part in the Olympics. It is unacceptable." Rodchenkov described a massive, tightly organised doping operation involving Russia's security service and the sports ministry. Sports Minister Vitaly Mutko has condemned the allegations as "a continuation of the information attack on Russian sport". Kremlin spokesman Dmitry Peskov added they were "unsubstantiated" and the "slander of a defector". Former Russian anti-doping agency worker Vitaly Stepanov had also claimed on the CBS network's 60 Minutes programme that undercover Russian intelligence agents posed as anti-doping staff to cover up cheating at Sochi. The BBC and the World Anti-Doping Agency (Wada) have been unable to independently verify the allegations made in the programme. Russian athletes have already been banned from international competition by the International Association of Athletics Federations (IAAF), the sport's world governing body, after a Wada commission report alleged "state-sponsored" doping in the country. Rodchenkov left his post after the report was published in November 2015.